The way of democracy in Denmark is not always smooth when it comes to the will of the people versus the will of Parliament. Once again, MPs are expected to overrule the public over a citizens’ petition started on February 1 this year and signed by 50,000 people to “introduce a minimum age of 18 for the circumcision of healthy children”, reports DR Nyheder. On the one hand, the group behind the petition, Intact Denmark, sees it as a success because they were at least able to garner enough signatures to ensure a parliamentary debate. “I’m really pleased. This is a great day for us,” said Lena Nyhus, the driving force behind Intact Denmark, the group behind the petition. On the other hand, even before the formal debate starts, a majority of MPs have decided to reject the motion. But Nyhus is not deterred. “I’m quite certain that in the long run a minimum age will be set for circumcision, but it could well be that it won’t happen the first time around,” added Nyhus. READ MORE: Mishra’s Mishmash: Will Denmark be the first country to set a minimum age for the circumcision of boys? Only SF and Enhedslisten have said that they support a minimum age. Within most other parties there is violent disagreement in the ranks. Rather extraordinarily, Liberal Alliance, Alternativet and Konservative have decided to allow their MPs a free vote. 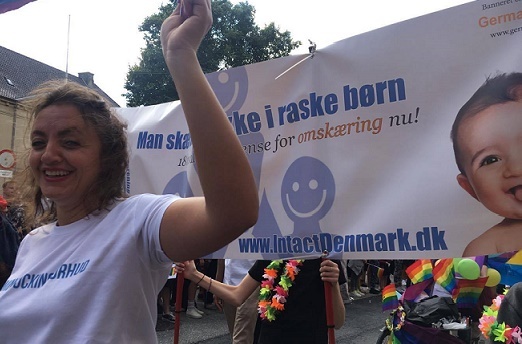 As well as posing an ethical dilemma about the rights of children to decide over their own bodies, there is also the issue of how to square a ban with Jews and Muslims having freedom to practise their religion in Denmark. In April, the defence minister, Claus Hjort Frederiksen, pointed out that there would be a considerable political risk involved if such a ban were implemented that could cost Denmark some of its allies. “There is a risk of negative sanctions and perhaps also a dangerous reaction, but we don’t usually bow to intimidation and certainly not when it concerns the fundamental rights of children. So why would we give in now over something so important,” asked Nyhus. Up until now, two citizen petitions have gone before Parliament and both have been rejected by a majority. This one seems destined for the same fate.